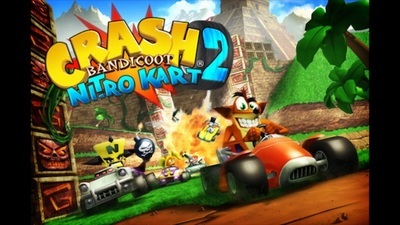 Join Crash Bandicoot as he, his friends, and enemies, set off on a racing frenzy across different environments. 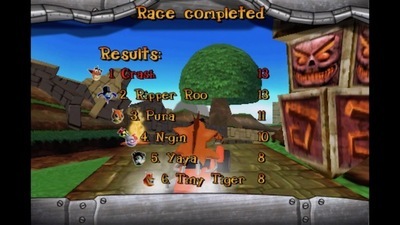 After the disappointment of not being able to save any of my progress on Crash Bandicoot: Nitro Kat 3D, I thought I would try my luck with Nitro Kart 2. 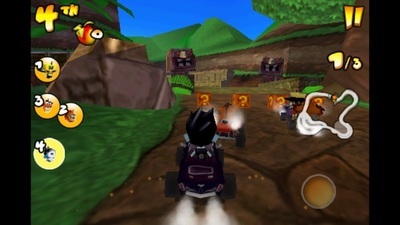 Also priced at £2.99 from the iTunes Store, I was surprised to find that although it is a predecessor to Nitro Kart 3D, Nitro Kart 2 actually has far more features. 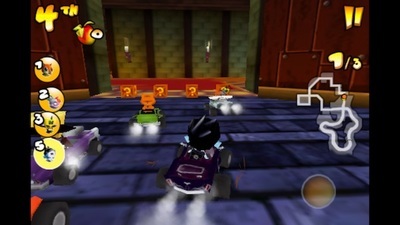 The racing game has several modes of play, which include: Cup, Time Attack, Skill, Multiplayer, and Mission. 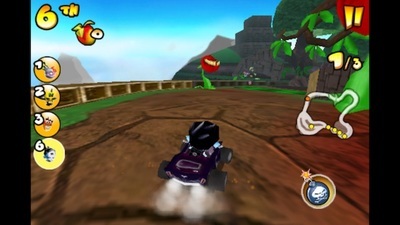 Cup mode is the main aspect of the game, in which you race across three tracks in succession to earn points and try to be the overall trophy winner. Each trophy you win, unlocks another set of courses. 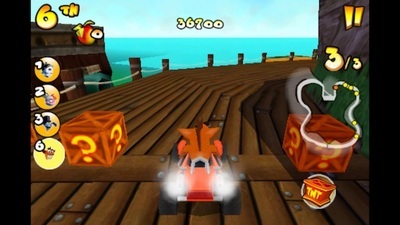 Some of the track environments will be very familiar to Crash Bandicoot fan, such as N. Sanity Beach (rechristened Bandicoot Beach), but others, such as the Haunted Mansion are new. Personally, I don't think the Haunted Mansion environment fits Crash Bandicoot and is more at home in a Mario video game. 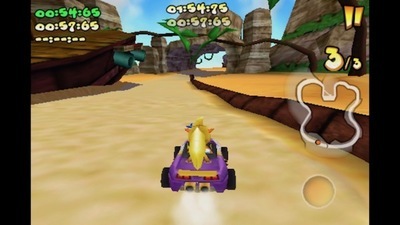 In Time attack you race alone along a track and try to get the best time. There are no pre-set time targets, so you are only competing against your previous score. Multiplayer mode is self-explanatory, but I found that you could wait in the antechamber for a long time, waiting for other players to come along, but no one ever does. It appears that not enough people play - or play multi-mode to be able to race against someone else, which is a shame. 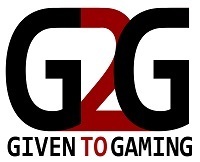 Skill and Mission modes are similar. 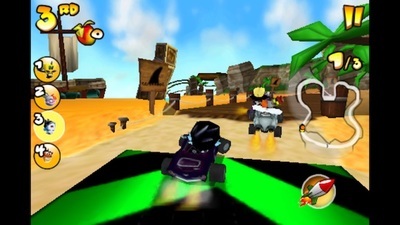 In the former you get points for making 'wild jumps', while in the latter you score points for using drag around corners. 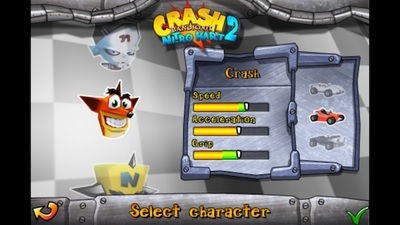 The graphics look great, and the music is fun (a remix of original Crash Bandicoot music), and the tracks have depth (there are different routs you can take, which makes it more interesting). 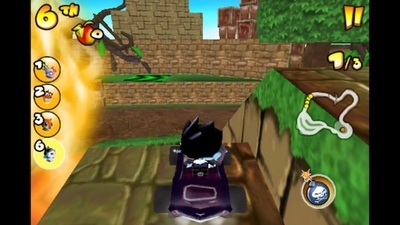 Unfortunately I fell into the same problem with Nitro Kart 3D. Since the developers have not updated the game in a few years, it is not completely compatible with the latest generation of iPod Touch. I was therefore unable to save any progress. Other Apple mobile devices should be fine, but if not, you can easily get a refund. Do you prefer monster or mythology stories in The X-Files?